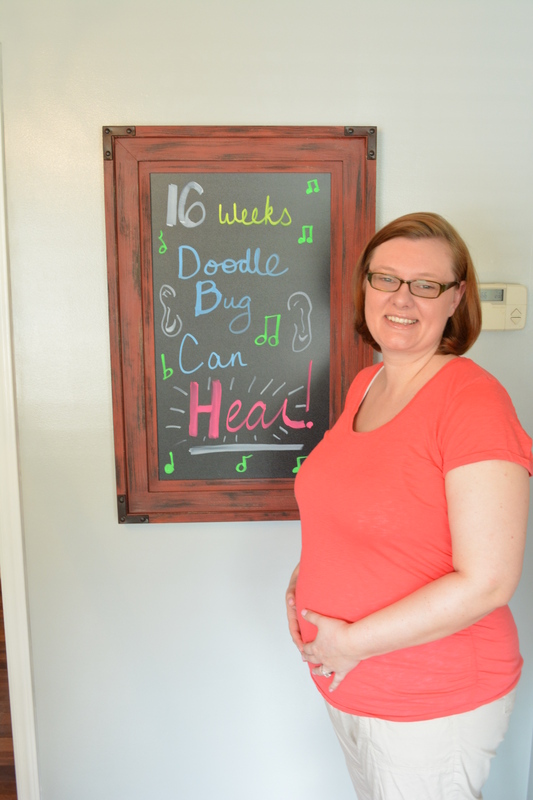 Week 16- Doodle Bug Can Hear! Doodle Bug can hear! SO exciting to think that Doodle can hear what we are saying. I am sure that there are some things that little ears should be not exposed to, but I don’t think that baby is quite ready to actually understand a few bad words sprinkled throughout a conversation. This week was a pretty good week! Machelle is starting to feel much better and we went back to the midwife appointment on Monday where they said that the baby was doing just fine and listened to the fetal heart tones. Machelle has actually lost 4 pounds since this whole pregnancy process began. She is working out 4-5 times a week and is being mindful of what she is eating. She still gets the cravings that may not be so good for you, but mainly what she craves is fruit and things that are healthy. The midwives are not worried that she is losing weight because she is still being able to eat and get in the nutrition that she and the baby needs. As for me, I am trying to maintain and preferably lose more weight. We go to the gym with a personal trainer 2 times a week and then I try to go the other days that we don’t train with him so that I can continue to get stronger. I can feel a difference in the way my clothes fit and how I feel. Machelle is showing, I will post a picture of her at the end. Where tummy used to be and it was soft, is now become more firm and doesn’t have the same consistency that the skin did around her tummy. She always says she doesn’t understand how her pants aren’t fitting when she has lost weight. The trainer sad that she is losing weight but gaining baby. I am very proud of her for continuing to exercise and do what she feels is right for her and the baby. I know that she gets tired of people telling her how to live her life. I try to remind her that everyone is going to have opinions and to just try to take them as advise and that’s it…not to dwell on it. I can imagine that it can get very overwhelming to have people constantly telling you how to do things and they are all different, depending on who it is coming from. Saturday morning we were laying in bed eating breakfast and after we were done we laid back down and were just relaxing. Machelle said that she could feel the baby moving a little, so I decided that I would put my hand on her belly to see if I could feel anything. I sat there for a moment and I did. I had to make sure that what I had felt was baby and not belly. So I kept my hand there and the next time I felt it, I asked Machelle if that was her tummy working or was that baby? She said it was baby! I was so happy!! I think that I laid like this for probably another hour just waiting to see if I could feel anything else. It is an amazing feeling to be able to feel a life inside of someone else move around. I can only imagine how it would feel if that life were inside of me. Apparently Doodle really likes breakfast and anything carbs. I have been thinking about starting to read DoodleBug a story on a daily basis just so as he grows, he can get used to my voice as well as Machelle’s voice that he hears all the time. I know that some people would say that 16 weeks is a little early to feel the baby move from the outside, but I know what I felt. On a side note, there are things that Machelle does on a daily basis that completely re-inforce the reason that I could not have picked a better person to start a family with. She is just so nice. She is more than nice, she is kind hearted. She often wants what is best for others and would gladly put that need before a need of her own. She is a fantastic nurturer and truly cares about people. I know that she never was a nurse, but she would have been a fantastic one. Her compassion and care for others is something that I think some people, even in medical professions, are greatly lacking. I haven’t felt all that well today and she just has this air about her that makes me know that everything will be ok, and if it’s not and there’s something that she can do to fix it–she will. Her maternal instincts are very evident and I love that about her. I know that sometimes she gets worried about how we are going to raise our children because she has seen mistakes that other people have made, but I have no doubt that hopefully we will be able to do at least a mediocre job between the both of us. 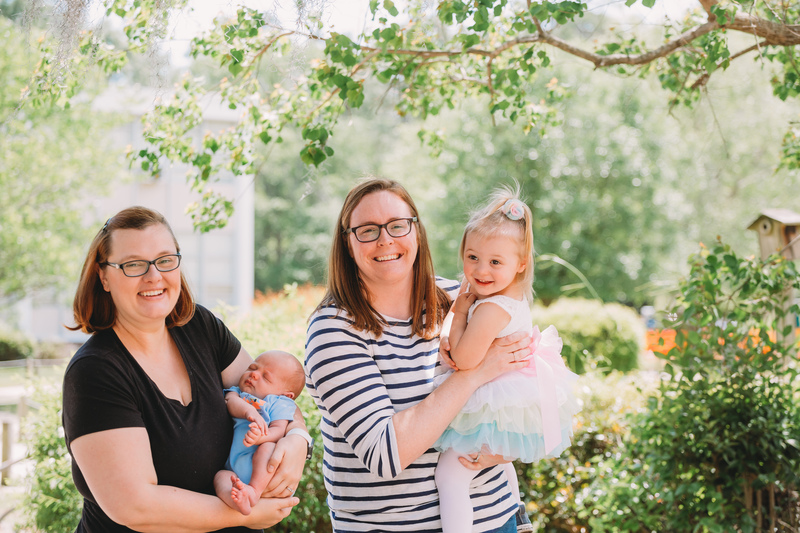 This upcoming week, I have a bachelorette party to go to and then it will be time to get to business with planning and getting the nursery all ready for doodlebug. I think that both of us are starting to worry that the baby will be here and we will not have anywhere to put the child or that we just won’t be ready. I am sure that is a fear that lots of first time parents feel and I know that we can get it all done. It just seems to be a little overwhelming when you think about it. I can’t explain to anyone the love that I feel for a child that I have yet to meet and am not carrying. I feel like this child is already so much a part of our lives and I couldn’t be more excited about the journey. Sometimes I find myself wanting to rush things towards the day that our baby will be born but I must force myself to slow down and take in every precious second of this roller coaster that we are on. Machelle is working on homework so I won’t bother her with the questions this week. She may answer them later. Y’all have a good week!